Checkerwise - All about chess & gaming! All about chess & gaming! There are few people in this world who have never played a game of checkers. It dates back centuries and has become a timeless classic that players of all ages can enjoy. This game is not difficult to win as long as players are armed with the knowledge they need. The goal of any game of checkers is for players to get their markers to the other side of the board before their opponent beats them to it. The king piece is the one players should focus on the most when it comes to winning the game. The more of their own checkers a player can turn into kings the more likely they will do so. While many players concentrate on moving one checker at a time, this is not the recommended strategy. Players that work on moving several of their checkers give themselves an edge over their opponent. When a player has three or more lined up in a row, each one is protected because the other player can’t capture it. This is how players build what is called a bridge in a game of checkers. A bridge is formed if a player’s checkers are two spaces from their opponents’ and lined up diagonally. Players then move one of their markers ahead of the bridge and protect it from being taken over by their opponent. One important aspect of winning any game is knowing that sometimes it can be helpful to give one up. There are times that giving up one checker so another checker has the chance to be made a king. This is a risk that is always worth taking in the game. Forced moves can help a player get the upper hand on their opponent. With the checkers in just the right position on the game board, a player can make an ordinary checker become a king. The home spaces on the game board should always remain occupied by a player’s checkers. When the last row of checker is kept in place, players are protected because they are preventing their opponent from turning one of their own markers into a king. It is best to leave the checkers in their home spaces until such time during the game when an opposing piece must be captured. They should be saved for use when a player has few of their own checkers left on the game board. Towards the end of any game of chess, home row checkers may have to be moved by both the game’s players. When that happens it makes it much easier for one’s opponent to acquire a king. Players should avoid trading pieces at this point in the game unless it won’t give their opponent an advantage over them. Blocking in the markers of the other player is often the best strategy for winning a game. When one player can no longer move any of their checkers, the game is now officially over. Chess is a game that people of all ages can learn how to play. With a little practice and a thorough knowledge of the chess game rules, Chess does not have to be complicated as some people seem to think it is. Here are the basics of playing the game. The way in which the Chess board is laid out starts both players with the light coloured boxes on the bottom, right side of the game board. For both players Chess pieces are placed on the boxes in front of them in the same order. A rook is placed in each corner, next to a knight, with the pawns being placed along the second row. The bishops and queen and king are then added to the board before the game begins. There are six types of pieces in a Chess game. Every type has its own moves. With the exception of the knight, pieces can never be moved ahead of other pieces. What they can do is move from one space to another space that results in capturing the other player’s piece. No piece in the game is more important than the king. However, it is also among the weakest pieces on the Chess board. While other pieces can move more freely, kings are confined to only moving to the square in front of them or next to them on either side. Anytime another piece in the game overtakes the king it is referred to as a check. While the king may be the game’s weakest piece, the queen is always the strongest. This piece can be moved anywhere on the board as long as it remains in a straight line. Anytime the queen is able to capture the pieces of one’s opponent, it ends her move and allows for another piece to be moved. In the case of the rook, it is neither the weakest or strongest piece on the board. While there are no limits on how far it can travel over the board it is limited to spaces in front of it, behind it or to the sides of it. Rooks can protect other rooks, making them powerful in a game of Chess. When it comes to moving the bishop, this piece can only be moved in a diagonal direction. If a bishop starts on the colour white it has to stay on spots of that colour throughout the duration of the game. Having multiple bishops on the game board at once strengthens the power of each one. Moving the knight can essentially be moved anywhere on the game board. The knight can travel across the board in an L shaped pattern. Pawns move differently than the other pieces on the board. Moving forward on the board limits pawns to one movement at a time, meaning other pieces can overpower them. However, pawns can be promoted if it reaches the opposite side of the game board that it started out on. These are the basics that any new Chess player needs to know in order to understand the game. We have had a lot of questions the last time about how to play chess for money. Different online casinos and betting sites offer plenty of different games for betting. So far, however, we haven’t seen anyone that offers chess. This is probably something that will be added in the future though. Such a strategic game would appeal to poker players etctera. For people living in United Kingdom, always have a look at what new casinos offer. Many new casino sites offer a lot of games, Casiplay being one of them. This casino is to be laucnhed within the next month, so have a look there once it is live. Read more about Casiplay at newcasinooffers.co.uk/casino/casiplay if you want to know more about it and be ready once it is launched. Though all three are considered abstract board games, there are many differences between checkers, chess and backgammon. These differences make each game appealing to certain players. 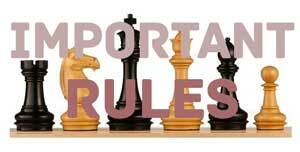 When it comes to game rules, checkers are the easiest to learn, followed by backgammon and then chess. While both checkers and backgammon are two player games, backgammon involves 24 spaces and 15 checkers. A pair of dice is rolled in order to determine how many spaces the checkers will move in a game of backgammon. The basic premise of checkers and backgammon is the same, but each game has its own unique set of rules. All three types of game boards have different patterns that contribute to the games’ differences. The patterns that open a game of chess is a higher number than the patterns that open a game of backgammon or checkers. Of the three games, chess is the only one where a player’s opening moves are critical to the outcome of the game. For beginners, the patterns of backgammon and checkers are preferable to the patterns on a chess board. The number of moves that can be done throughout the game is much higher for backgammon than chess or checkers. After players have made their first four moves in any game of chess, there are more than 288 billion possible moves they could make. The ultimate chess game can include as many as 5,949 moves. However, in checkers and backgammon there are much fewer choices in moves. For those who enjoy playing with a good strategy, chess is very much preferable to backgammon and checkers. While chess is purely a game of strategy, backgammon is just as much about luck as it is about strategy. Checkers can also be a game of strategy as well as luck. The popularity of all three games has varied over the years. However, in today’s world, chess is the most popular of the three. Millions of adults all over the United States and the rest of the world play chess on a regular basis, something that cannot be said about checkers or backgammon. However, in England backgammon is much more commonly played than chess is. Despite this, many people have gone on to play chess professionally after getting a taste of it in a personal level. Chess champions are found all over the world, whereas checkers and backgammon aren’t shown the same kind of love. All three games can be entertaining to some players, but most have a preference. Playing chess and checkers has become more common than playing backgammon in certain parts of the world. However, all these games provide compelling reasons for players to enjoy them. Some players may even find a game of chess or checkers a relaxing way to unwind after a long day. Others may feel the same way about a good game of backgammon. These games have become classics in today’s world and will likely always be able to stand the test of time. Chess can seem like a rather simple game. The case is that it’s anything but a simple game. Sure, it’s very easy to understand how to play it. There are the chess board and the squares and the pieces with their unique movement patterns. And there’s the main rule that you should capture the opponent’s king and protect your own. If you truly wish to appreciate the depth of chess, you need to invest a lot of time in learning more about its intricacies. The first level of depth in the game of chess is that different figurines have different strengths and weaknesses in different positions. Even the most powerful piece on the chessboard – the queen – can be made weak and inert by bad positioning. Consequently, the pawn can be turned into the most powerful piece on the table if you know how to play your cards right. The second level of depth is that there are three main phases in every game of chess. The first phase is that of the opening game. This phase consists of the opening moves that the two players will make as they battle for control of the center of the board. The second phase is the middle game and this phase is the most eventful. Players attack and capture pieces and defend and lose some of their own. Finally, there’s the endgame phase that starts when there are only a few pieces left on the board. All of these three phases are very important in every game of chess. And if you wish to truly master the game and start your learning process on solid foundations, you should put focus on the endgame. Start playing the simplest scenarios. Start out with a king and a pawn against your opponent’s lone king. Try to promote your pawn and mate the opponent’s king. You will realize that this is not easy as it seems. There is the real danger of getting to a stalemate scenario. You will have to learn various movement patterns that you can utilize in order to evade stalemate. Then you will need to learn the chess tactics. Forks, skewers, pins, castles – all of these are important chess concepts and tactics that you can utilize in your game. But learning them won’t come overnight. You will have to work hard before you will be able to say that you have mastered these chess techniques. Finally, it’s important to know more about chess strategies. They will be based on your preferences and on your personality. Are you an attacking player? Or you wish to defend and counter-attack when the opportunity is ripe? The selection of style in chess can have a profound influence on how the game goes. One thing that many people forget about is to take a break a do something mindless. For example watching TV or play casino. If you do not know how to play there are many casino-experts that you help you. And this is only just a small part of the overall depth of the game of chess. The more you play and the more you apply yourself to the game, the more of its depth will you uncover. Above all, make sure to have fun while playing chess. Chess is a phenomenal game that will force you to think while you play. There are billions of potential combinations that you can make on the chess board – it’s a very complicated game. And this is not to say that it’s difficult to understand the rules of chess. Everyone can learn how to play this game. But what happens if you wish to get better at chess? Well, there are a few ways in which you can do this. The first way in which you can get better at chess is by playing the game more often. It’s so intuitive that many people fail to realize this. It goes without saying that a person that plays 10 games of chess every day will improve their skills a lot faster and more effectively than a person that plays chess once every two weeks. So, if you find that you have nothing else to do – then why not head online and find an opponent that you can play against? It is also a good idea to take a break from playing sometimes and clear your mind. Surprisingly one of the most popular ways to clear you head is to do something mindless like playing at a casino. Perhaps you want to give it a try to Play UK Casino, https://best-casinobonus.uk/review/play-uk-casino/ is a fantastic place to start searching. Remember to always play safe and only at UK licensed casinos. There are chess books that you can read – some of the greatest grandmasters in the history of chess have written their knowledge of chess into books. Inside of these books, you will be able to learn a lot about how the great grandmasters of our times have understood the game of chess. You will also learn various techniques and strategies that you can start implementing in your game. Granted, reading books is not the most effective way to learn chess. Chances are that there won’t be any visual explanations for the various moves that are discussed in the books. This will mean that you will have to visualize the board in your head – which can be very difficult and highly impractical to do. So, our next best suggestion for you if you wish to learn to play chess better is to watch YouTube videos. There are a number of channels that deal with the game of chess and that have a high degree of popularity. So, by watching a chess-related video or two online on a daily basis, you will be able to learn more about some of the intricacies of the game of chess and thus improve your skills. But this will all amount to nothing if you don’t spend some time in proactively thinking about the game of chess. It’s easy to play the game mindlessly and only think of the next move. But if you really try to extract yourself from the game and really think about it – you will begin to see patterns in the game that you would have never seen before. It will all come to you if you just begin to think proactively. And if you follow the advice from above, you will definitely improve your skills in the game of chess. In the end, it’s all up to you. The more time you spend learning and thinking about chess, the better your skills will become in the game. So, be sure to have fun while learning more about chess! Chess is a highly competitive game that’s played by two people. It can get very complicated and complex – there are billions of potential combinations that can be made on the board. But the basis of the game is pretty simple and everyone can get to understand them in no time. So, how do you go about learning the game of chess? Well, the chess board consists of 64 interchanging black and white rectangles. There are 32 pieces on the board at the beginning of the game. The two players hold 16 pieces each, all deployed at the opposite ends of the board. The pieces on the board have their different ways of moving and capturing other pieces. For an example, the pawn moves one square vertically and it captures other pieces one square diagonally. The knight has a unique pattern of movement and it moves two squares vertically or horizontally and one square to the side. It’s also the only piece in the game that can jump over other pieces when it moves. The bishop moves diagonally in every direction, the rook moves horizontally and vertically in every direction. The queen is the most powerful piece in the game and it can move both horizontally and vertically, and diagonally in all directions. The king is the king! The king is the unique piece of the game in that its value is infinite. If you lose your king – you have lost the game. The same goes for your opponent. The king moves one square in every direction. The fact that it’s a vulnerable piece and that it is hindered by lack of movement capabilities means that you should take care to protect it early on in the game. But at the end of the game, the king can turn into a powerful piece that you can use to win the game. So, we have established that the goal of the game is to capture the king of your opponent while blocking the attempts of your opponent to take your own king. This can be done in many different ways – and this is exactly what makes the game of chess so exciting and rewarding. 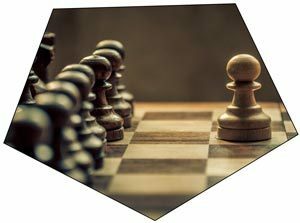 There are various strategies that you can implement in the game – there are attacking players, defensive players, risk-taking players, sacrifice-giving players – there are many different styles of playing chess. But if you truly wish to master the game of chess then you will need to invest a lot of time and effort into it. It will take years before you will be able to get truly good at chess. And remember – losing is a part of the game. You will have to do away with your egotistical ideas about always winning at chess. There will be times when you will lose fair and square against various opponents. There will be times when you will make a blunder that will cost you the game. It’s important not to lose hope and to continue studying the intricacies of chess so that one day you can master the game. Most chess players want to improve their ranking. This passion is based on different reasons, including the hatred for losing. They view better ranking and skills as the way to satisfy their hunger. Others want to win trophies while others target the jackpots available when you win chess games online. Whatever the reason, there are rules that you shall never forget about the game of chess. This is a rule that applies to anyone trying to acquire new skills for whatever reason. Once you engage in something on regular basis, you master the rules and become witty at it. Continued practice will make you stronger and eventually see you win more games. This will come with glory and more trophies. Chess is an extremely tactical game that requires strategy to win. The knowledge of rules is good but not good enough to enable you to win. Most of the players understand these rules but they do not know how to twist them to their advantage. Plan your game with your strategy and plan in mind. Solve tactical problems as you train to give you a wider view of things. This is important when you need to be consistent instead of a random winner. If you do not like tactics it is always better to play a game of luck for example casino. Choose a new casino where you will get the best casinobonus with many free spins. In that way, you will have a much higher likelihood to actually win money. The beauty of chess is at the end. You only win based on your position at the end of the game. Study the end game before you can study anything else. Studying the start and middle will all lead you to a certain end. This is what should be at the center of your plans. There are different types of endings based on your tactic and the response of your opponent. Know them to improve your chances of many and consistent wins. If you need a shade, you must look for the best tree. This similarly applies to chess. Learning from grandmasters in history will give you the tricks you are looking for. There is a reason Nimzowitsch, Alekhine, Tal and Botvinnik, among other grandmasters are recognized in the world of chess. There is something you can learn from them. Study their games and implement the tactics you see in your play. It takes dedication, motivation and commitment to be a pro player. Your game should be based on the moves made on the board and not the opponent you are playing against. This is the psychology of mastering chess and beginning to win more games. Every chess player wants to be a grandmaster some day. This is the only way to reign supreme over friends, during competitions and even online when gambling. However, competitions are only entered based on ratings. Further, you want to get a guarantee that your tactics are getting better by the day. This is why you need to better your ratings by the day. Reading books and watching videos or people playing in real time are some of the tactics you can use. However, this only amounts to the accumulation of knowledge. Knowing the rules is different from applying them considering that you will be required to make different decisions each time. Real sharpening takes place when you are actually playing a game. Here are tricks you can use to better your game. Chess is won on long-term strategy. The fact that you have made one move does not mean that you are a pro. Consider the impact of your move on the next two or three moves that will be made by your opponent. It is the best calculative player who will win a game. To calculate moves means that you have to think deeper and very fast. This calls for a person who visualizes the final position and makes all effort to reach there. World-renowned grandmasters can analyze the next ten or even fifteen moves. It is not only moves that win a game. You have to calculate your strategy and make things happen. Analyze games in detail to understand what strategy means for a game. Push most of your pawns to one side, close the center positions, identify a weak pawn position and know when to sacrifice the pawn for positional or tactical advantage. 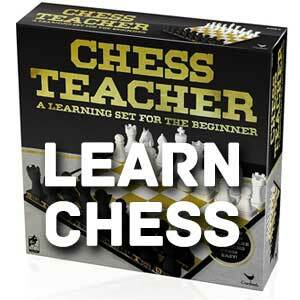 Chess game online or on the board are won based on what you do to the king. Play your game with your king in mind. Analyze the games played by attacking players in order to know the ideas and themes to use. Sharpen your tactical and calculating skills. Develop strategies to attack the kind from one side, both sides, in an un-castled manner and when he is at the center of the board. The best chess players are known during play and not based on their knowledge of the game. Participate in as many games and competitions as possible. It is during these competitions that you manage games while under pressure. This enables you to gain sharper skills and improve your rating. Why did chess become so big? Chess is played as a sport today at an international level. It originated in India and travelled to other countries through business routes. Over the ages, it has gained more popularity in other parts of the world than it is India. Then how did chess become so prominent in other places let us find out? Chess is the game of intelligence, and so it is found that the academics usually enjoy playing this game. Such people like to challenge their mind and always find it interesting to play some games that involve the brain. So it became popular among these kinds of people. Today it is found to be popular in Russia and other European countries like Armenia, Iceland and so on. Russians like to consider them as intellectuals, so the people grew an interest in this game and so also the people of other countries want to play these games which involve the mind more than the body. Usually, games and children go hand in hand. And for playing games except for some board games, you need to involve your body. After a certain age, you may not be comfortable to exert yourself physically. These kinds of people need some entertainment, and they took solace in the game of chess. This set of chess can be played by people of all ages as it involves just a board and a few pieces of wood. There is no physical exertion and is played indoors so can be played in any season and anytime, unlike other games. So it has become more popular among the adults than the children. You can call it the game of adults as you evolve as you play and the more you play, the more you learn about the game and become better at it. Unlike other games, you don’t need to spend much on this game. Once you buy a board and a set of coins or pieces, they last for years. So on the front of the cost, you can say that it is nil. The game involves only two players so you can just call in a partner and play the game. In most of the physical games, you need to have a team of at least four to five players. So the availability of players may not be a problem. The players do not have to pay to play as it can be performed in anyone’s house. So no expense is involved in playing the game. Playing chess has many benefits. It improves you thinking and develops memory. Also playing chess your concentration increases and also your logical thinking gets developed. Apart from this, you can develop creativity and imagination. You get motivated by playing chess, and also it teaches you to be independent. Playing chess brings these benefits and more. This led to it being promoted by the intellectuals, and thus its popularity increased in the masses. Especially among the scholars, it became more popular and they, in turn, helped it to the masses. In most countries that it is played it became famous for the benefits it brought and also because it does offer some entertainment too. We are also huge fans of New Casino Sites 2018 in the United Kingdom and hopes that we can see more betting with chess in the future. If it will come https://www.new-casinosites.uk will surely list it in the top in their 2018 guide to new uk casino sites. Chess has become big and is played as a sport globally, and it has brought some warring nations together too. So isn’t it good to play it? Many who enjoy chess are eager to pass the same passion to their friends. However, not all find it easy and enjoyable especially at any age. This may crush the dream to make this a family tradition and to enjoy your trophies in competitions. How should you teach your friends and family to ensure that they enjoy and turn out to be pros? Chess is a game of rules that must be followed. It will be impossible to teach everyone if you do not understand and cannot follow these rules. Learn and introduce the pieces or characters. The person must be in a position to understand and even recognize these characters. The person must also learn the rules. Characters should be known alongside what they can do and what they cannot do. Teach the person what a king represents and the relationship to the queen, rooks, bishops, etc. The person might not master all the rules and pieces at the beginning but will master them over time. Many people will take anything from their teachers. However, after introduction, it will require effort to kip the persons interested. Objectives come in two sets. One is why you are teaching the game and the purpose of each move. The game must be introduced first as fun and then as a means to sharpen his brains. Use words that reflect these objectives. The other objective for making any chess move is to protect your king. This must be clear to the person when the game is starting. 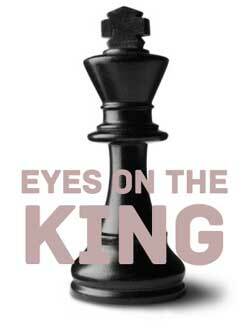 Every move made will be to ensure that the king is adequately protected. These are the basics that will motivate to play and also cause him to think through all moves made. Playing is the best way to learn a game. Make the game simple for him or her at the beginning. This is enough motivation to keep playing. Speak the language of chess as you play. Introduce the persons to the console and online games. This kind of exposure is important in instilling passion and inculcating the idea that he can play anytime of day or night as well as anywhere. The ultimate lesson is to enter into competitions. This will train the person to play and win under pressure. It also introduces other playing skills like attacking and defense that you might not possess. You will reap the rewards of a person with better memory, enhanced creativity and thoughtfulness.